It is finally cherry season!!! Cherries are usually one of my favorite fruit ingredients to use for desserts. I even worked in an orchard as a cherry picker three years ago in the Okanagan Valley before having an academic research position. 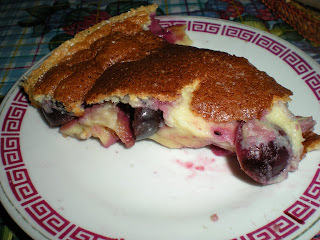 One of my favorite dish is the famous French dessert known as Clafoutis. 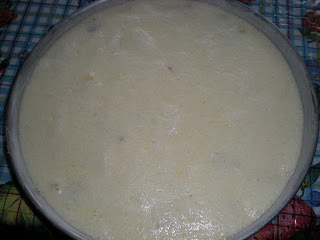 This is not your typical cake or pie, it is basically a batter enriched with eggs and cream. 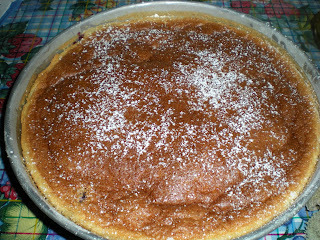 In most clafoutis, cherry and apricots are used. 1. Sift flour and sugar in a large bowl. 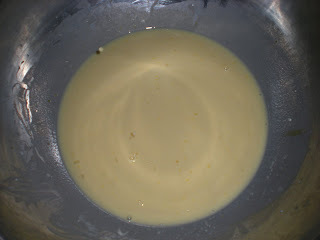 Slowly whisk in the milk, cream and egg yolks until smooth, then add vanilla extract. Set aside. 2. 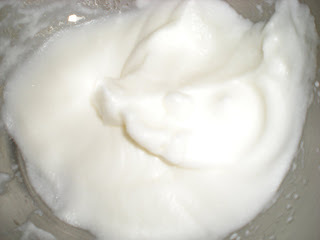 Meanwhile, beat egg whites until it forms soft peaks in clean bowl. 4. 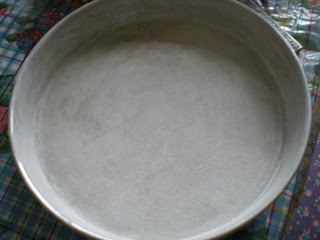 Rub an 9-inch round baking dish with butter and lightly dust with flour. 5. 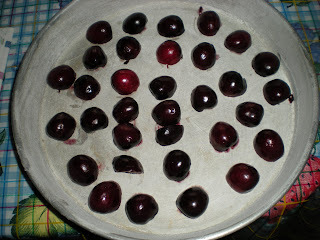 Pit cherries by cutting it in half and put the opening face down on the baking dish. 6. Pour batter through a strainer onto the egg whites and fold through until combined. Pour mixture over the cherries. 7. Bake for 20-25 mins until the edges are puffed up and golden brown, and the center is just set. Dust with icing sugar. Serve warm. This looks wonderful....I love fruit dessets. Thank you for sharing.